On Friday May 29th, as part of the University of Maryland annual HCIL Symposium, The Hive Group will present a full day workshop on corporate adoption of enterprise treemapping solutions: “Treemaps: From Classroom to Boardroom…and Beyond”. 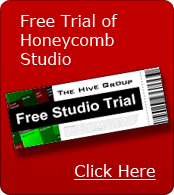 This workshop will be led by Carter Wilson and Dan Struebel of The Hive Group. It is suitable for anyone interested in deploying treemaps in an enterprise; and individuals that are interested in technology transfer.